Email List Validation is an email verification tool to test and validate lists in bulk to remove dangerous or invalid email accounts. 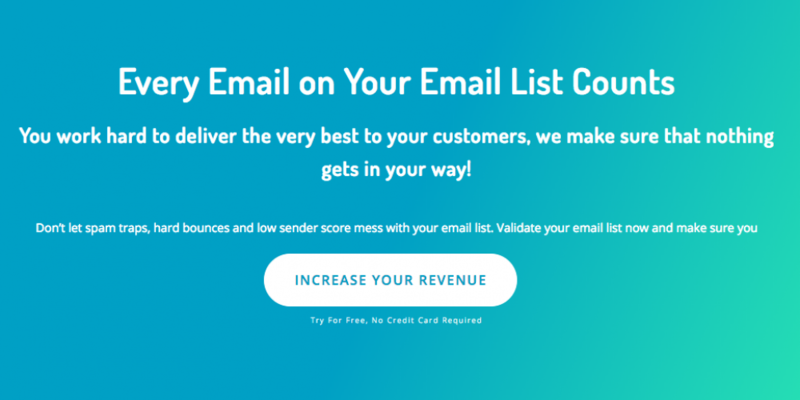 Email list validation is the best tool for digital marketers to clean and verify email lists to boost email deliverability for better and effective email marketing campaign. Email List Validation processes your email lists in bulk in csv, txt or xls format and delivers you the results. Our model is a pay as you go model, you have 100 free credit to get started and enjoy your first verification on us. No credit required to start. We offer a great interface, a 24-hour customer service, very high deliverability list check up and a low price.